Apartments shall be increased by an additional fee of One Hundred Ten dollars ($110.00) per unit. Motels shall be increased by an additional fee of Seventy Five dollars ($75.00) per unit. Every permit, including those deemed to be No Fee, shall be assessed a State surcharge of four dollars ($4.00) per permit. A fee of seven dollars and fifty cents ($7.50) per ton of air conditioning. A fee of fifteen dollars ($15.00) per each one thousand dollars ($1,000.00) or part thereof of heating work to be performed. There shall be no charge for permits for the repair or construction of sidewalks or curbing adjacent to Borough streets and/or alleyways. A total fee of fifteen dollars ($15.00) for each one thousand dollars ($1,000.00) of roof repair work. A fee of fifteen dollars ($15.00) for each one thousand dollars ($1,000.00) of demolition cost. A fee of three dollars ($3.00) for each one hundred dollars ($100.00) of moving cost. 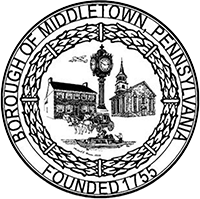 Fees for all inspections set forth pursuant to 34 Pa. Code 403, Administration, of the Pennsylvania Uniform Construction Code, as adopted by the Borough of Middletown, shall be at a rate of ninety dollars ($90.00) per hour.